Angela is a qualified chartered tax adviser and has assisted businesses and individuals with tax planning for over 20 years. She specialises in the taxation of partnerships, from large professional partnerships to family farming partnerships. Advising high net worth individuals, Angela also has considerable knowledge of capital gains tax and inheritance tax and helps clients to maximise tax reliefs available in these areas. 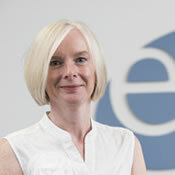 Angela ensures EQ clients are kept up to date with legislative changes and HMRC’s move to ‘digital’ tax accounts.